How To Take Better Travel Photos? Nowadays travelling has become a passion for a lots of people from all over the world. They love visiting and exploring new places – just like me, and it’s the way they live. Isn’t it amazing ? Imagine, we live on the same planet, we share the same passions and we visit the same places. That’s why travel photos are so important to me, to tell my own story about the places where thousands of people had been before me or they will be after me. Sure, there are places which are hidden from the crowds and which aren’t so popular, but let’s focus on clichés. Many people can take a photo of the Eiffel Tower so can you, but the most important thing is making your photo original and remarkable. 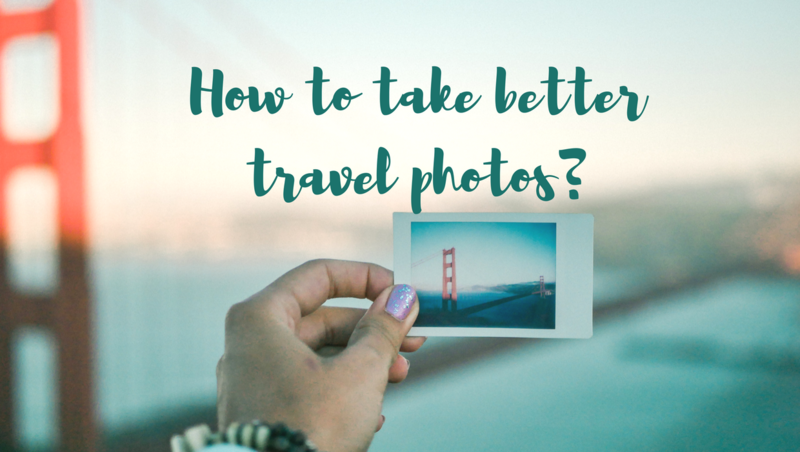 Today I want to share with you some tips how to make you travel photos better and how to find your own style. The first and the important thing is the choice of your camera. You need to have at least one, it’s obligatory. There are many phones with good cameras, but it’s better to get a digital camera with changeable lenses. The choice is very wide – from DSLRS to compact cameras. Personally I prefer to shoot with a mirror-less one, I have a Panasonic Lumix G80 (it’s a micro four-thirds camera). It’s very light, it has a good stabilizer and weather-sealed body – it’s just perfect for adventures and travelling. There’s no other time than sunrise or sunset to take the most beautiful and stunning photos. Personally I prefer shooting during sunsets or golden hours, when the sunlight is so gold and shiny. Sunrises are also great, you need to wake up early, but for me it’s worth the photo you will get. The next step is to think about the light for your photo. I prefer shooting directly into the sun to get nice sun reflections or bokeh (when I shoot people or objects). Then the pictures look so dreamy and magical… It’s up to you what type of light you choose, just be creative and find the light you prefer the most ! If you want to take good travel photos you need to travel a lot and explore new places. I know it might be difficult, considering the high costs of travelling, but don’t forget that you can just go out from your home and find some cool places in your neighborgood. If you don’t have a lot of money and want to travel abroad, find a job, save some money, buy cheap flights and follow your dreams while travelling ! Just go for it. Before you buy your camera, check if it’s able to shot in RAW format (what many cameras these days do) . It’s very important, because the RAW format keeps the best quality of your images and gets better detail. Don’t forget about it. Shooting a photo is only one part of photography, editing is another (I think my favorite one). Adobe Lightroom is the best program to edit your photos, it’s recommended and used by many photographers. So in a Lightroom, you can create your own preset to make your photos more professional and magical, moreover they will look better on your facebook or instagram account. If you want to create a beautiful content, the tones of your images are really important. Find your own style and your perfect preset ! You can also subscribe my profile here.